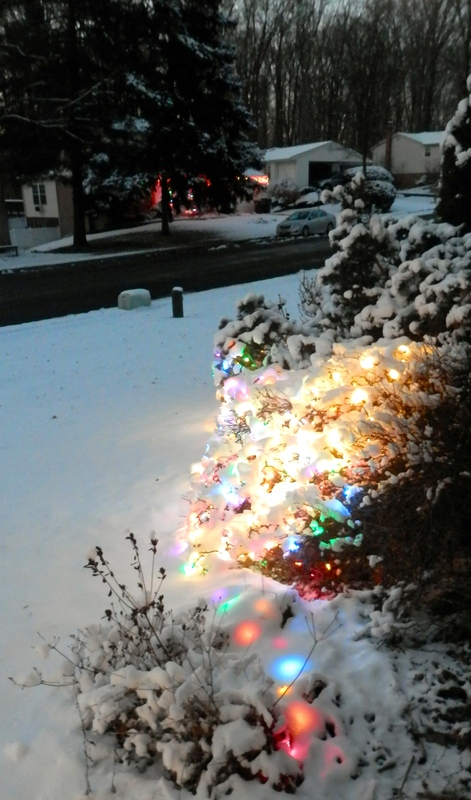 A few evening snow shots | Musings of a marginally sane feline-appreciating female. The lights just look so pretty in the snow, I couldn’t resist. 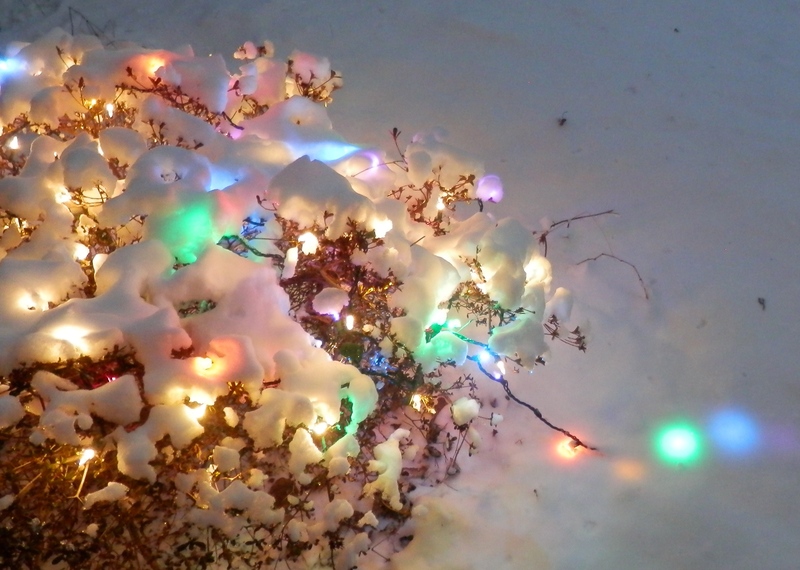 This entry was posted in Photos, Video and tagged 365 Photo Project, Christmas Lights, Photos, Snow, Video. Bookmark the permalink.